Echoing her community-minded and outgoing personality, Cunneen frequently made dolls inspired by friends and community members. 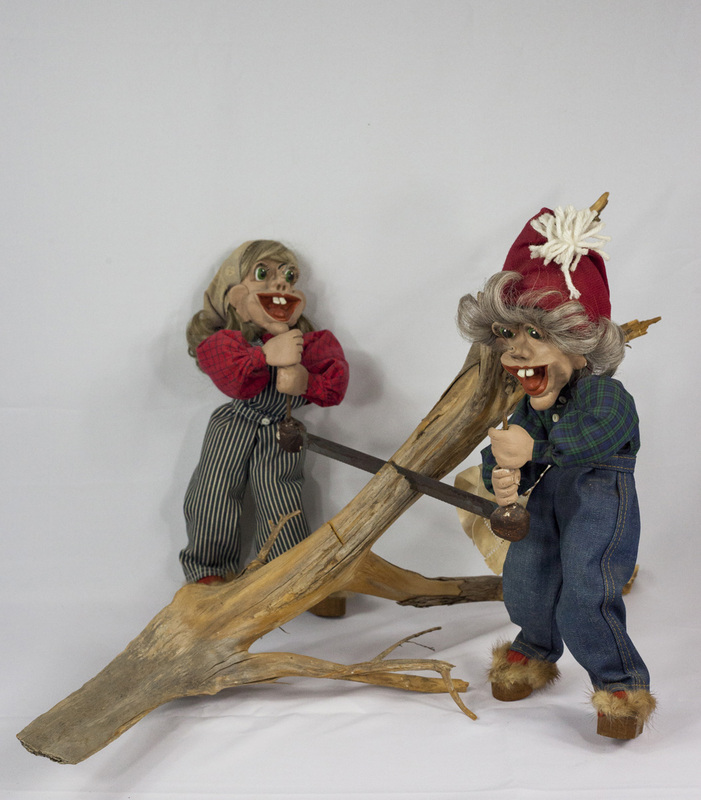 This couple depicts Cunnen’s friends who enjoyed working outdoors on their property. The couple also owned the electrical company from which she acquired her copper wire. Note the evolution of her trolls: the softer facial features and the playfulness evident in the diorama reflect the enjoyment she had making and presenting these characters. 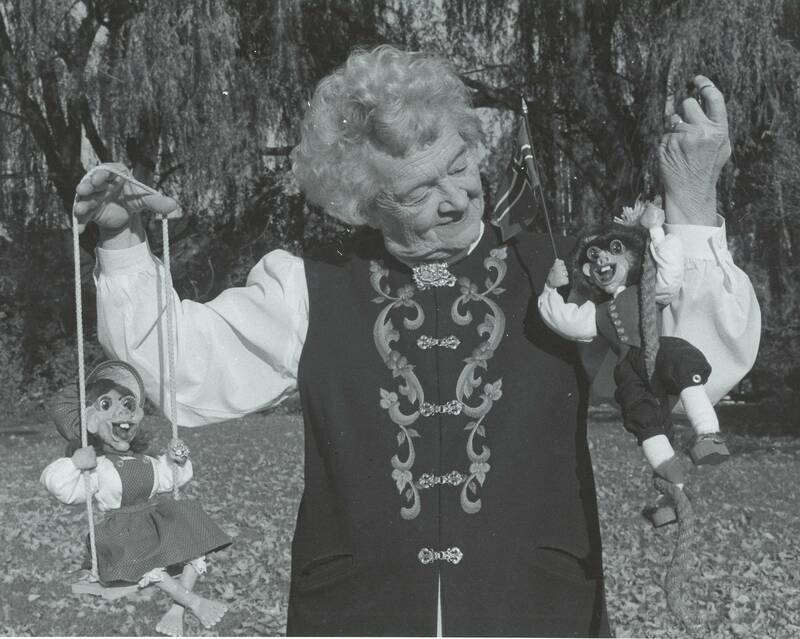 Oljanna Cunneen posing with two of her creations in 1987. MHAHS 8×10.00412.